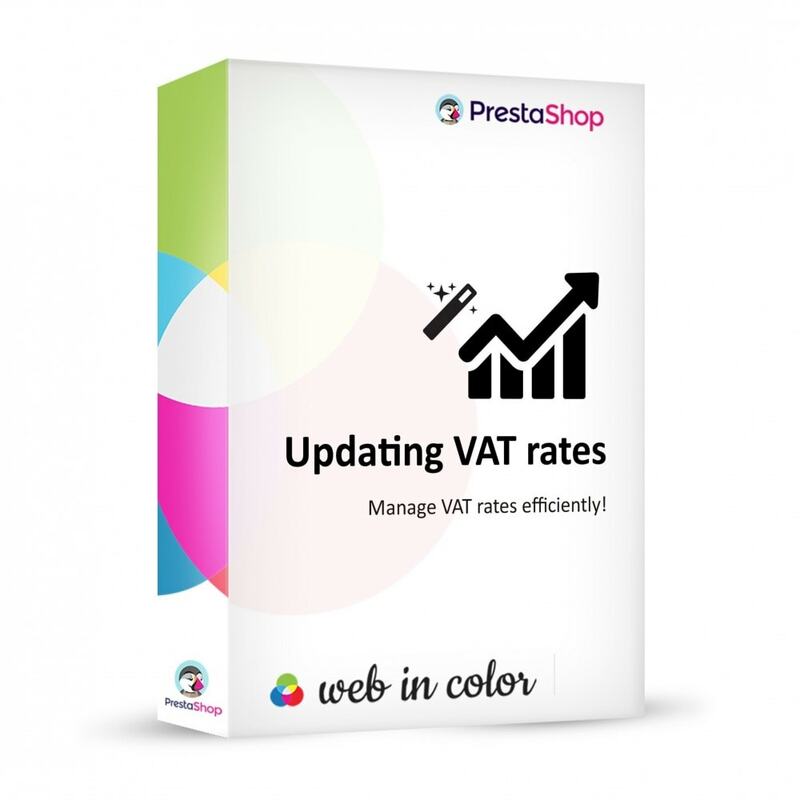 This module allows to update the VAT rates on your PrestaShop site in few clicks. 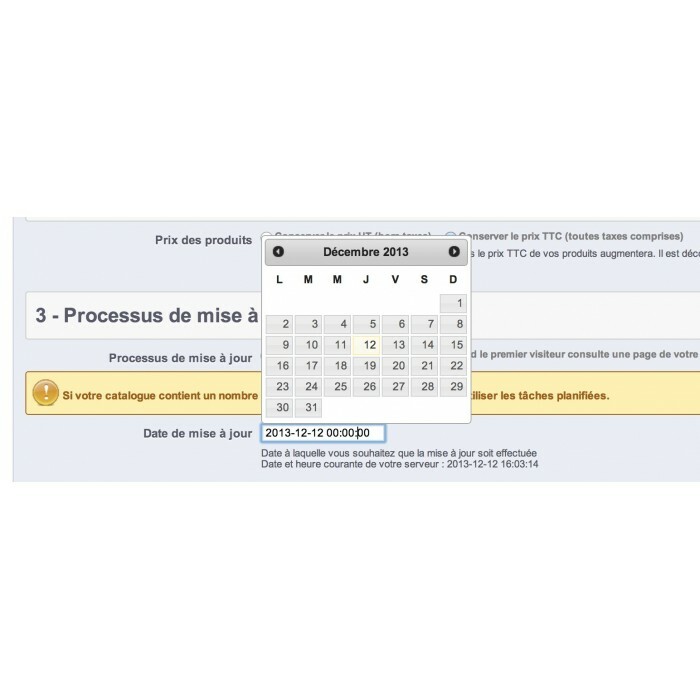 Set the new VAT rates simply and quickly in advance. Configure the new VAT rates to apply. 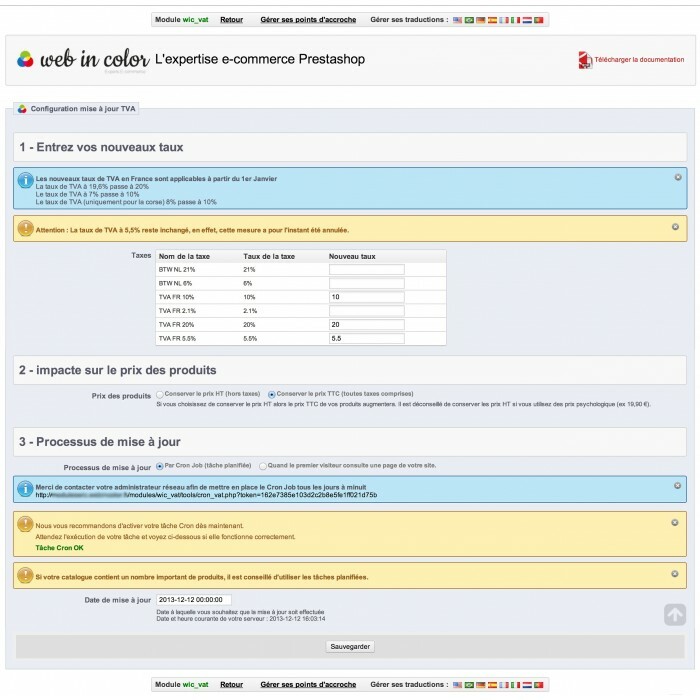 Automatically apply the new VAT rates on products and variations. Also apply the new rates of VAT on specific prices. Choose to apply the change in the VAT rate on the including price or the price excluding VAT. Change the VAT rate and the VAT rates denominations. Full integration into your administration module installation in one click. 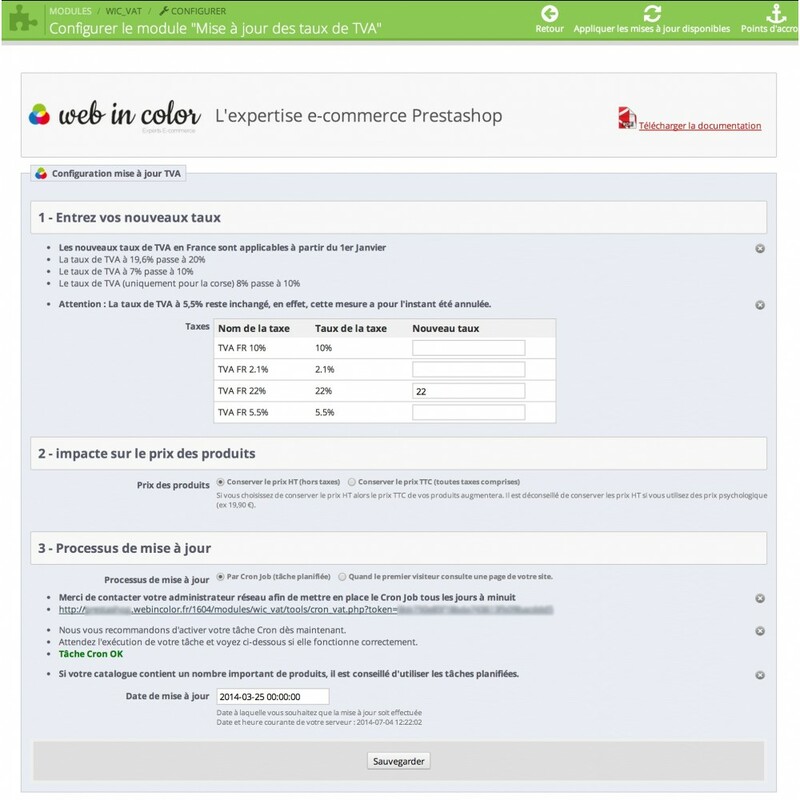 Simply configure the module from your PrestaShop Back-Office. 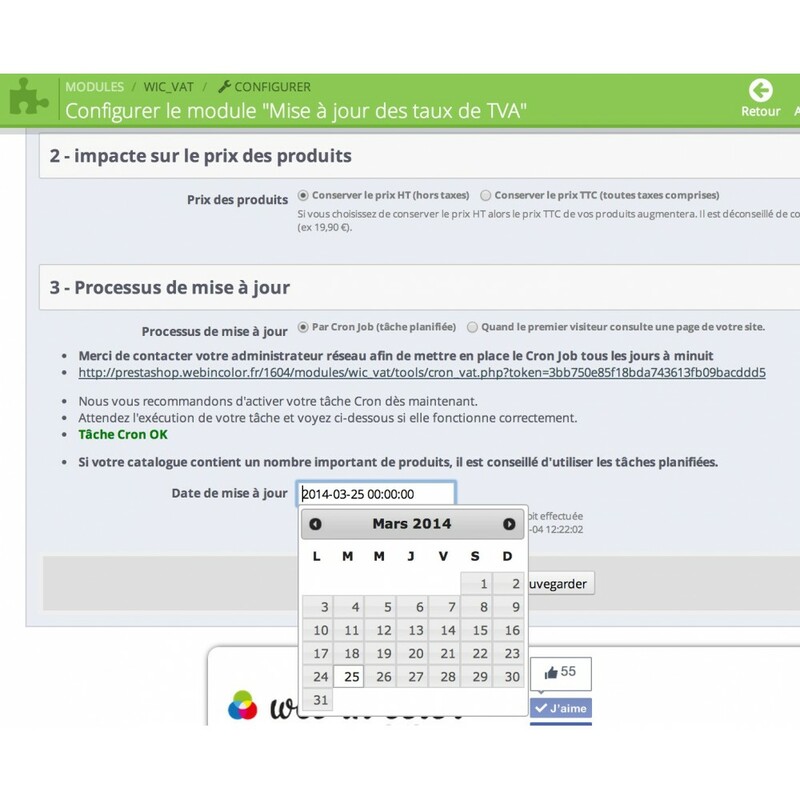 Configure new VAT rate and automatically apply the new VAT rate on products, variations and special prices. Option to apply the new rates including tax or excluding tax on products prices. Multi-store management: a configuration store. 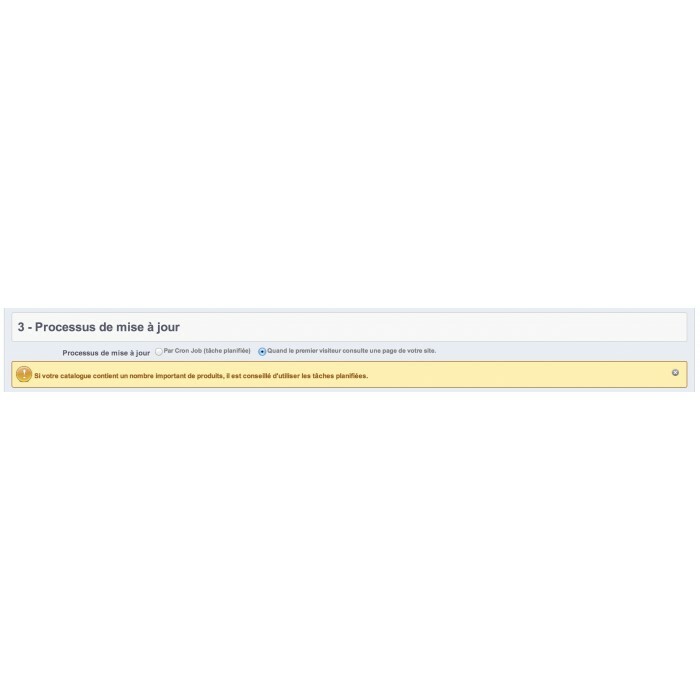 Apply updates VAT rates using a CRON or during the first visit by a user. Set in advance your new VAT rate without disrupting your previous settings and by planning these changes.